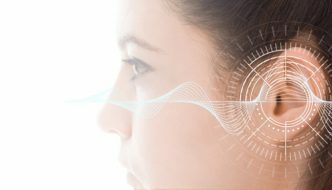 A client from San Francisco found California Car Sound and Tint while searching for audio upgrade options for his 1997 Acura NSX. The client saw the work we had done to a San Jose client’s 1994 NSX and was impressed with the results. He contacted our sales team to talk about options for his car. After a consultation and several e-mail exchanges, we came up with a plan to give his NSX the performance he wanted while maintaining the factory look of the vehicle. Let’s look at the unique upgrades we performed. 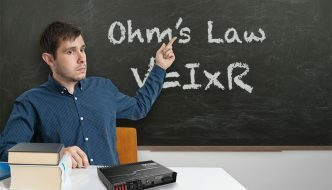 The trick radio modifications gives the client Kenwood features with OEM look. Ports for the USB and AUX input were added in the ash tray area. Part of the client’s goals for his Acura NSX audio system upgrade was to maintain a factory appearance in the vehicle. With the vintage and rareness of the car, he didn’t want us to make any significant modifications to the center console. 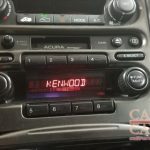 The client found a third-party solution to integrate an aftermarket Kenwood Bluetooth CD receiver into the stock radio location. We pulled the factory radio and sent it off for modification as per the client’s instructions. The results are impressive and short of an upgrade to an aftermarket double-DIN radio with Apple CarPlay and Android Auto, this is a great solution to add audio streaming to an otherwise stock-looking dash. Acrylic rings machined to fit the Focal tweeter were molded to the pillar. The pillars were wrapped in a matching vinyl for a factory look. To help reduce road noise and eliminate any resonance or rattles, the doors were coated with BAM. Expanded PVC adapter plates were made to secure the Focal woofers to the doors. 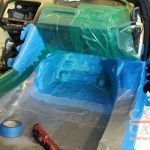 The footwell area was carefully masked off before the enclosure was fiberglassed. 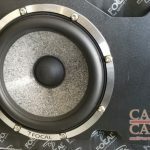 In keeping with the client’s goal to achieve amazing sound, he chose a Focal 165 WR-C component set for the front of the vehicle. Having looked at the ’94 NSX project we had worked on previously, the client didn’t want to mount the tweeters in the door panels. We suggested a set of custom A-pillar mounts to give the system a clean look and great performance. Aaron O’Brien, our head technician, created a set of acrylic mounting rings for the tweeters and molded them into the pillars. 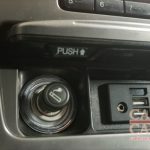 After filling and sanding the mounts smooth, he wrapped each pillar in vinyl that matches the dash of the vehicle then installed the tweeters with their cloth grilles. The woofers from the 165-WR-C set are mounted in the factory door location on a custom adapter panel that replaces the Bose speaker enclosure. We applied a layer of BAM XXXL sound deadening to the doors to maximize the performance of the new speakers. The last step in the speaker upgrade was to create a custom fiberglass enclosure in the footwell of the NSX for a single Focal 10-inch P25 FS shallow subwoofer. 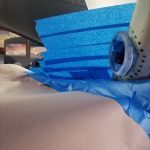 Aaron masked off the area and laid down several layers of fiberglass to provide the sub with adequate air volume. The front panel of the enclosure is finished in vinyl that makes the enclosure stand out against the carpet. We added a mesh grille to keep any passenger’s feet away from the sub. The side of the trunk features a removable grille that protects the Mosconi processor. 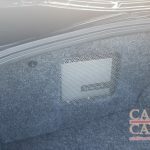 A Mosconi Pro series amplifier was mounted in the floor of the rear trunk. The audio system is powered by a five-channel Mosconi Pro 5/30 amp that is mounted on the floor of the trunk. 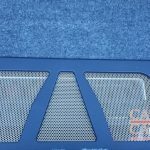 Aaron created a trim panel that incorporates carpet, vinyl and metal mesh so that the amp can stay cool while allowing the client to continue to use the trunk for cargo. 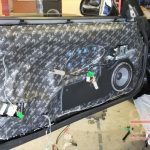 The last piece of the project was to install a Mosconi DSP6TO8 Aerospace digital signal processor on the left side of the trunk to handle the signal processing needs that would make this system come to life. Aaron mounted the processor on a sheet of plastic and created a trim panel to protect it from damage. We added a switch to the panel that allows the client to retract the motorized antenna so that the car’s profile remains clean and tidy when he’s not listening to the radio. After about 10 days of work, Aaron had the installation completed and the system tuned. The client returned to California Car Sounds and Tint in Campbell, eager to see and hear his new sound system. On arrival, we gave him a tour of the work we had done and let him have a listen. He loved the way it sounded and was blown away by our ability to integrate everything into his new-to-him classic exotic. If you are interested in upgrading the sound system in your car or truck, drop by our store or send us an e-mail. We’d be happy to design a solution that meets your needs and exceeds your expectations.